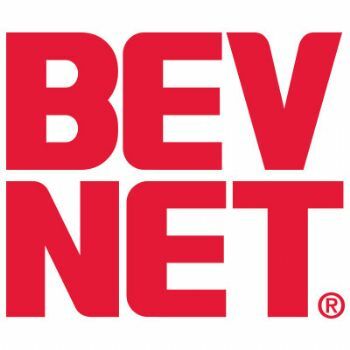 BevNET is pleased to announce that it has added a trio of branding experts to foster discussion on the visual design of authentic brands during the BevNET Live event in Santa Monica. The discussion will take place on Monday, Dec. 5. With industry bona fides that include the brand conception and visual design of entrepreneurial and innovative brands like Fuze and NOS, Monster and GNC Beverages, Langer’s Juice and Crystal Light, BevNET Live’s design panelists bring years of applied experience to the conference. Between Paula Grant of Floodcreative, Ian McLean of McLean Design and Mark Mitchell of Interact Packaging, the attendees of BevNET Live will receive three unique viewpoints on the visual cues that can help entrepreneurial brands make key transitions: onto the trucks, into the stores, and most importantly, from the shelf to the shopping bag. All three designers understand that for emerging brands, the packaging medium carries the brand message – and their presentations and discussion will give audience members insights on sending that message clearly and with great impact. Paula Grant has designed for some of the best creative agencies in NY & London and is the founder of Floodcreative, a design agency located in Nyack, N.Y. that has been creating and refreshing brands for 10 years. Floodcreative prides itself on designing with passion with an ultimate goal of effectively communicating business strategy on shelf. This approach comes from the personal experience of creating brands from the ground up. Paula effectively built and sold the beverage brands Fuze and NOS energy with limited budgets and a lot of hard work by infusing all aspects of the business with a designer’s mindset. She feels that innovative design thinking and the creatively that follows suit, is essential to the DNA of any successful consumer Brand. Best known as the creators of Monster Energy, McLean Design is a small but dynamic branding and packaging design firm that has helped build some of the world’s leading beverages. For over 20 years, founder Ian McLean has been involved in the creation and development of hundreds of national brands, many of them with powerful name recognition and enviable household penetration. Ian believes that effective consumer packaging cultivates meaningful connections between real-world products and the consumer’s elusive desire for an ever-improving lifestyle – a relationship that can only be encouraged, not exploited. Beverage clients include Nestle, Lipton, Pepsi-Cola Company, Coca-Cola Company, SoBe, Pabst Blue Ribbon, Beringer Blass, Hansen Beverage, Sunsweet, Muscle Milk, Tetley North America, and an array of wines and spirits. The Chief Creative Officer at Interrupt Marketing and Interact Packaging, Mark Mitchell’s chief ability is that he gets you jazzed about the endless opportunity — for anything. With more than 30 years of package design experience, he’s the visionary who shows you how much you (and your competitors) aren’t seeing. Then he formulates the riveting, big-gain ideas that overcome your business challenges. As a leading expert on package design, Mark has spoken at Expo West, The Emerging Food Entrepreneurial Forum, Automotive Aftermarket Council and Catalog Merchants Association. Interact Packaging focuses on package design and channel marketing to help its clients outperform their category on-shelf. Interact Packaging focuses on package design and channel marketing to help its clients outperform their category on shelf. Clients include Disney Food, Noble Juice, Tru Juice, Langer Juice, Beechnut, ISBRE Water, Schwebel Bread, Breyers Yogurt, Yo Crunch Yogurt, Hickory Farms, White Castle, Marzetti and Crystal Light.